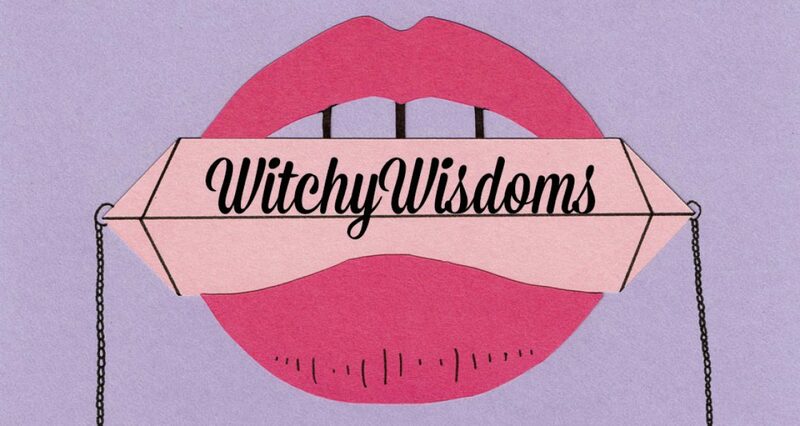 Welcome to the first post of Witchy Wisdoms! A writing project full of little wise nuggets of witchy goodness. In the spirit of tapping into my creative forces and holding myself accountable, I’ve decided to do a daily challenge in the form of a blog where everything is at my disposal and nothing is off limits. Thank you for being a part of it! Rather than starting the blog with a huge backstory, I’d prefer to have my story unfold organically, showing its many layers through different topics. In a short synopsis, however, I’m a native Angeleno who moved to New York City three and a half years ago. Following many experiences and hardships, I’ve learned to celebrate self discovery and integrate self help into my life in a huge way. After quitting an unsuccessful venture in real estate, I’ve decided to become certified as a life coach and this blog is aimed towards chronicling my journey to that goal. I fully believe there is no better way to help and inspire people than maintaining positivity and living your authentic life. This blog serves as a vehicle to unwrap my truth, and if anyone who reads it can benefit, then I have already begun doing important work that I can be proud of. The most amazing thing to me is to see my friends grow and practice setting personal boundaries so that they can flourish while protecting the very factors that make them unique and beautiful. This blog will explore all of these avenues to spin a beautiful web of magic directed at self help. So why witchy? What even is witchy? Good questions, all. Since this blog is a venture in personal truths, it is extremely vital for me to add my own flair and emphasize my personality. As a spiritual person who loves all things supernatural, and a person who owns a 95% black wardrobe, I decided that my brand was inevitably witchy. This isn’t a pagan blog, and no one is trying to push religion on anyone, but it is pertinent that my style shine through this writing project one thousand percent.